Forumotion news : publications on the forums. Because we want to give you the best service, we are constantly trying to improve and to get better by developing new opportunities and functionnalities. 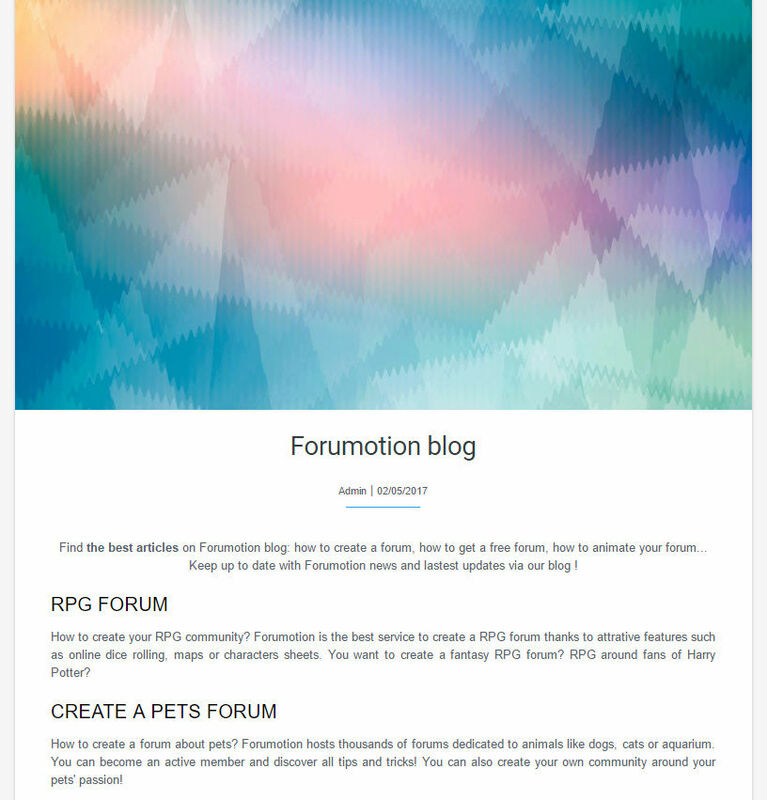 We're glad to announce a new fonctionnality on the Forumotion forums : Publications. Thanks to this new option, you can now create unique content in collaboration with your members (kind of a wikipedia), independently from your forum content. What is the publication system ? Totally independant from the rest of the forum, with a new modern, minimalist and ergonomic design, the publications are an absolute innovation for the Forumotion forums. This system is compatible with the "Accelerated Mobile Pages" project (AMP), which has been made in order to let the members of a forum share an independant content, made as a teamwork, with the entire world. Independent, the publications system permits you to write as a teamwork, to communicate some knowledge or information and to create a new place to share with your members. Indeed, this publication section is different from a forum because it's not about answering to each other: the purpose isn't to make a topic with a messages succession. There, you'll be able to write together, to share, to make only one and same content and to enhance it with all your members's knowledge. Plus, you can define the publications as a common "Wiki" with your community, where you have the possibility to create a free content in a collaborative work, and then to share it with the rest of the world, showing for example what you like, or even your forum. How to activate the publication system ? To activate the publications on your forum, you have to go to your administration panel, the publications settings are in the "Modules". You'll find there the possibility to activate it, to choose the moderators of the publications and other permissions. Once you activated it, a new button, "Publications", appears in the main menu of your forum. It gives you access to this new fonctionnality. We won't tell you more so you can enjoy to discover it by yourself !